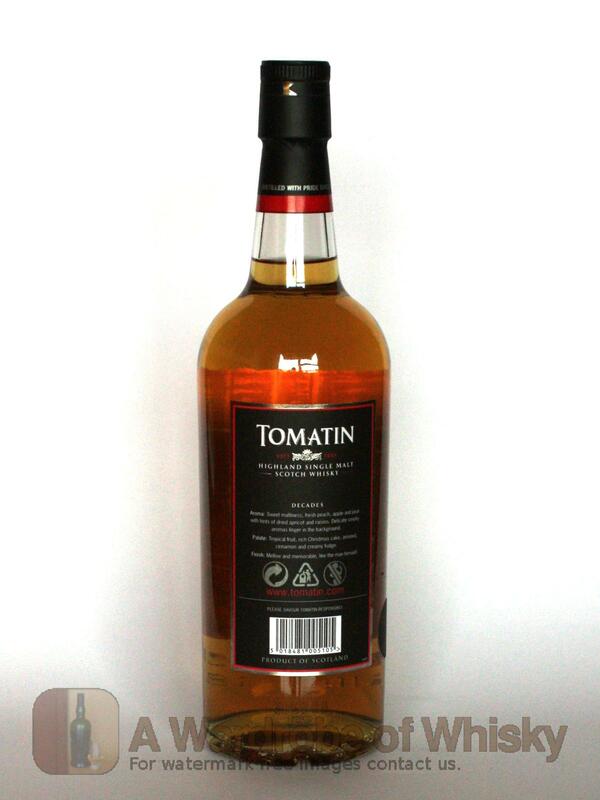 This unique Single Malt has been crafted to celebrate one man's lifetime commitment to the Tomatin Distillery. Native to Tomatin, Douglas Campbell had worked for the distillery since 1961 in a number of positions before taking on the role of Master Distiller in 2008. 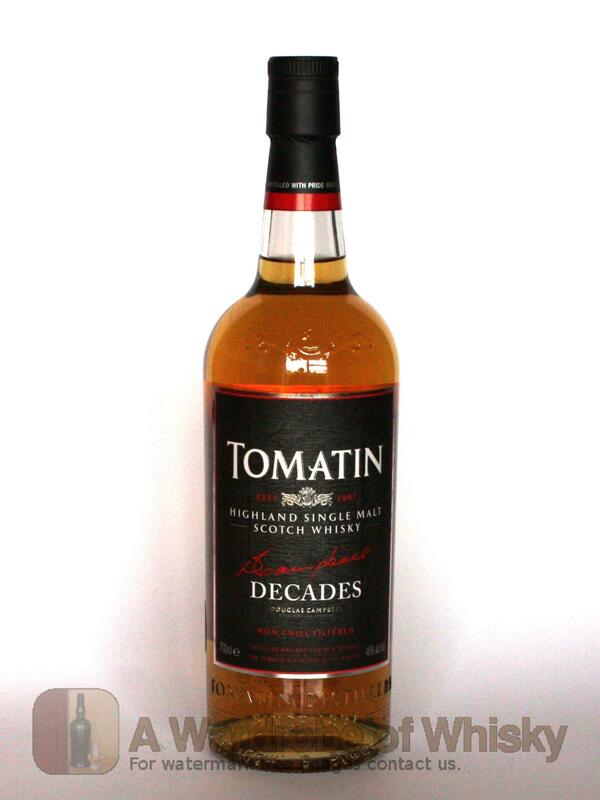 In his current role, he spends much of his time assessing the thousands of casks that lie maturing in the vast warehouses of Tomatin or travelling around the world promoting the distillery's single malt. 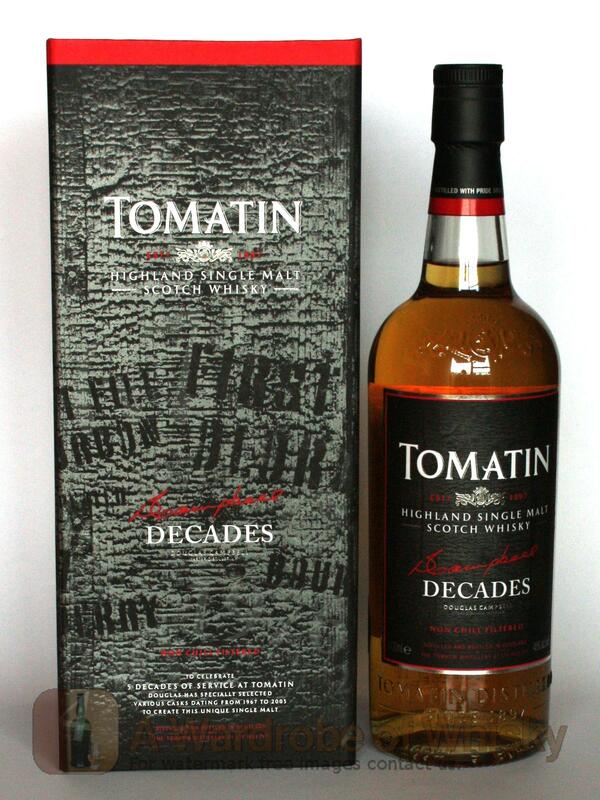 In recognition of his 50 years service at Tomatin, Douglas has created a Single Malt using whiskies distilled in each of the 5 decades he has worked at the distillery. Starting with a 1967 cask and moving through each of the subsequent decades to the year 2005, Douglas has chosen whiskies that not only have very distinctive individual characteristics but are also versatile enough to marry together to create a single malt that is a genuine one-off. Called simply 'Decades', this single malt is a marriage of maturity and youth. It is a coming together of sherry and bourbon influenced whiskies, of differing ages, to create a single malt that has great depth of flavour but also a youthful charm that helps to invigorate the taste buds.